This is a repost from January 2018 and publishing my novel Essential Path still REALLY matters to me. Developing my next novel Freedom Path is also a top priority to me. These are the two major projects I devote Route 3 Product Time to (see previous and upcoming posts for more on multiple writing projects). So the very last thing I want to do is make that either of those two projects a New Year’s Resolution! Roughly 80% of New Year’s Resolutions fail within a couple of months. Note the word order in that sentence – it’s resolutions that fail, not people. Here’s why. New Year’s Resolutions are typically over-ambitious and therefore run counter to brain science. I have ambitious goals, but I avoid freaking out about how intimidating they are by staying focused on small, regular action steps. I celebrate small successes along the way, which keeps my brain (specifically my habenula) functioning in ways that support creativity. 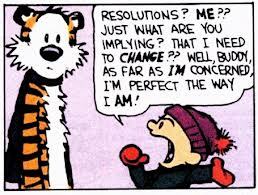 More New Year’s Resolutions are made from a sense of obligation (“Well, it’s the New Year, I guess I should make a resolution about my writing…”) than from conviction. 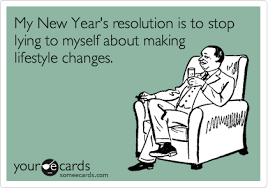 Other people’s resolutions may have inspired you in the moment, but that shared sense of “Let’s do this!” fades quickly. Doing something because you “should” is rarely sustainable. Doing something because it’s your heart’s desire will keep you motivated longer. Doing something from habit, because it’s just who you are and what you do, will stay with you forever. A resolution isn’t going to get my novel published or the next one written; my habits will. New Year’s Resolutions are outcome goals and therefore run counter to brain science. Resolutions are usually vague hopes for a better outcome– lose weight, spend more time with family, save money — without considering what strategies, systems and steps will be needed to get there. Focusing on an outcome without specific plans to achieve it reminds us of when we’ve tried something similar and failed. The prospect of failure triggers the lateral habenula to slam the brakes on motivation. I don’t set myself up to fail by over-focusing on the outcome. I don’t define success in terms of outcomes I can’t control (how any given agent responds). I commit to take small, regular action steps (continue to get feedback and polish my query, continue to research agents and send them what they ask for, freewrite and research for the developing novel). When I show up and do what I committed to do, I’ve succeeded. My habits and commitments are the foundation of a sustainable writing practice. I don’t need resolutions. You don’t either. If you already made a writing-related resolution, figure out how you can translate that into small steps you can take as you build sustainable writing habits. Joseph Luciani, “Why 80% of New Year’s Resolutions Fail,” Dec 29, 2015, U.S. News. Christophe D. Proulx, Okihide Hikosaka, and Roberto Malinow, “Reward Processing by the Lateral Habenula in Normal and Depressive Behaviors,” from https://www.ncbi.nlm.nih.gov/pmc/articles/PMC4305435/ accessed January 2016 and January 2019. Kyra Bobinet, “The Power of Process,” January/February 2016, Experience Life, from https://experiencelife.com/article/the-power-of-process/ accessed January 2016 and January 2019. ← Are You On a Route Suited for Multiple Writing Projects? I’ve never done New Year’s resolutions. I aim for change when I need it, though we do have a year-end postmortem and spend a couple weeks planning for the year, setting goals and whatnot. Best Beloved and I were just talking about this over breakfast. Her to-do list has about 20 items, mine has 2. But mine really should be 20 because I keep writing high-level stuff instead of granular bite-sized bits. Planning to learn from her. Thanks Joel. I too reflect on the year past and make plans/goals/dreams (those are three separate categories) for the coming year.